Synopsis: He’s saved her. He’s loved her. He’s killed for her. Thoughts: I loved this twisted book more than I think I should have. Hushed is thrilling, disturbing, and insanely amazing. We start off with Archer, who lives by himself and tries to be normal. But, he's anything but normal. Then there is Vivian, Archer's best friend, and the person he's always loved. Archer would do anything to protect her, anything for her... even kill. Then, one day Archer meets Evan. Evan is down to earth, fun, and cares about Archer a lot. 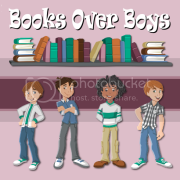 As Archer starts to fall for Evan, he starts to realize how wrong he's been about Vivian and how dangerous everything has become. But, is it too late to pull himself out? Following Archer, was one hell of a ride. He's this good-looking, smart boy, who is completely blinded by what's in front of him. But, how can you blame him when it's all he's ever known? He does what he had to for the person he loved. It just took someone else to show him how dangerously far he'd actually gone and how wrong it actually is. I mean, watching him and Viv together... was like watching someone take poison and letting it slowly seep into your body until you eventually give out. It was a completely toxic relation. On the other hand, I completely adore Evan. The way he swims in the cold, his cute ideas, his gentleness, the way he sees the good even in a terrible situation, his slight sexiness. Everyone NEEDS an Evan. He's the all-around perfect boyfriend. 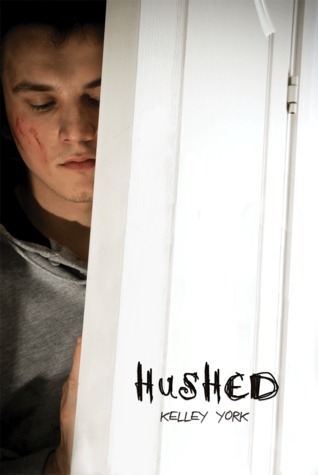 I was surprised, yet completely happy with the ending of Hushed. For Kelley to take a topic of love and being blinded and twist it as far as she did, it's almost frightening. And that's exactly why I loved this book as much as I did. It's 100% intense the whole way through and it's beautiful. This book sunk its teeth in me from the very beginning. It's twisted, completely spine-tingling, and at the same time inspiring. I cannot rave enough about this one. It's completely unique and if you're considering picking it up... do it! You will not be disappointed. Wonderfully written review Jena! I agree with it all I thoroughly enjoyed this one as well Asher was fascinating, really! :) Glad you liked it as much as I did. YA Heroine Tourney: Half-Blood Giveaway!